We’re grateful to be surrounded by industry thought leaders, trailblazers, movers, and shakers! We love picking their brains and sharing ideas when in comes to both personal and professional life. 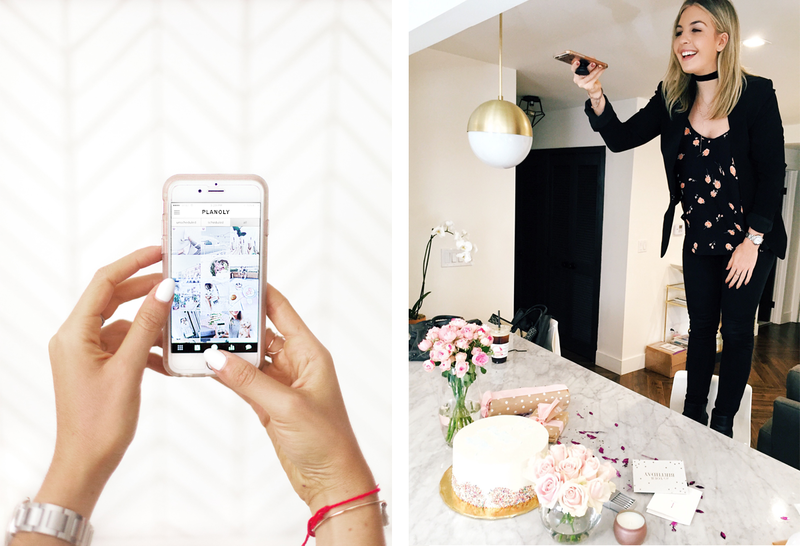 Today, our friend Calli (founder and creative entrepreneur of Something Social LA) sit down with us to share her expert experience and advice on all things social media and of course… Instagram. How do you create unique content for your clients and what can you suggest to our users to enhance their Instagram presence? I always try to think about what I would want to see if I were the consumer. You have to ask, what would add value to our followers? Why would they want to follow us? Why would they engage with us? What would make this unique? You have to find what qualities and elements make you/your brand different from any others, and then run with that and keep it consistent. Consistency, consistency, consistency. When you think of your favorite accounts to follow, chances are they have an overall theme or message, and they continue to repeat that message over and over. Focus on quality of content, and try to tell a story with your overall feed. If someone has a split second to decide if they should follow you or not, give them a reason to follow you. What mistakes do you see brands make when it comes to social media? The biggest mistake we see brands make is trying to be like their competitors, or seeing what other brands are doing in their field and then wanting to tailor their strategy because they see it working for someone else. We always try to tell clients to stick to their brand identity, their brand presence, and stay strong and confident in their brand voice. It will confuse your audience if one day you shift your aesthetic, let’s say from bright and airy to dark and grungy, and we see clients try to do this if and when they see someone else with a different look who’s performing well. What works for one brand doesn’t always translate to another, and we try to instill confidence in each of our clients to keep pushing their identity and the right audience will come. What are your favorite ways to create excitement and buzz for a brand? Our main focus always starts with unique, captivating content and creating that consistent brand aesthetic. From there, we love to help clients create “Instagrammable” moments, depending on their industry. If they’re a brick and mortar space, storefront or restaurant, we love working with them to create unique moments that can be captured easily and lend themselves to posting/having people talk about them on social media. We want people to want to snap a photo and then share it to create that feeling of “oh we have to go there!” For products, we focus on event activations, unique campaigns, and influencer relations. Whatever it is, we try and create buzz through producing something that makes people want to talk about the brand and share it on social media. What are your favorite apps for work and how does Planoly help you and your team? Planoly is a DREAM! From the beginning, we have spoken about the importance of creating a brand aesthetic, and we’ve educated clients on how vital it is to have a consistent look, so that if and when someone clicks over to your Instagram, they’re instantly captivated to the point where they want to click “follow”. For a time, we had to speak about creating this brand aesthetic in theory, but with Planoly, we’re able to actually show clients how we would bring their aesthetic to life through mapping out their feed. We used to have to post photos for a split second and then delete them if they didn’t flow with the previous image, or the one below, and then go back and find a different image that would fit better, and test it all over again. We would even create private Instagram accounts to test how the feed was going to look! 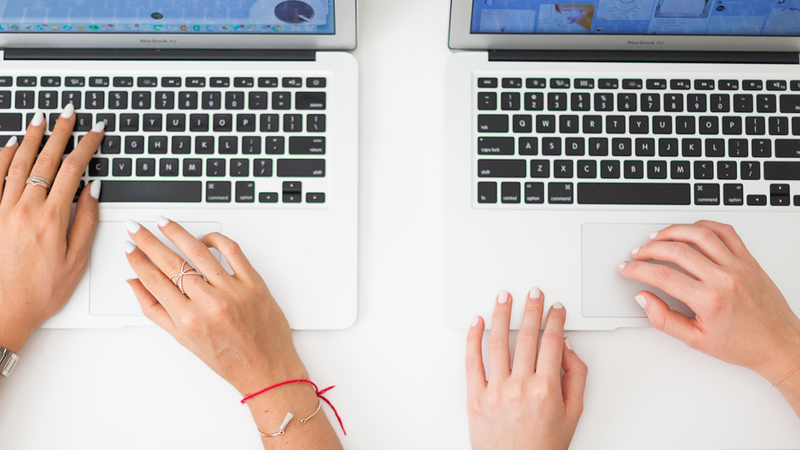 Planoly has streamlined everything for us so that we can plan ahead and don’t have to leave anything to chance. It’s a game changer!